Products assisting to improve chronological ageing are becoming the buzz within anti-ageing skin care products. One of the keys to prolonging chronological ageing is the assistance of Cell-to-Cell Communication, improving cellular vitalization with the application of plant stem cells. Plant stem cells are rich in epigenetic factors that, when applied to the skin, offer protection to the epidermal stem cells, whilst furthermore working to improve upon healthy cell renewal within the skin. Epidermal stem cells are found in the basal layer of the epidermis and bulge region of the hair follicles. This represents a highly relevant and efficient penetration pathway and reservoir for topically applied actives, helping to regenerate the epidermal stem cells continually. Dermal stem cells are found in the dermal papilla and are responsible for fibroblast function thereby impacting the firmness and elasticity of the skin as well as accelerating the wound healing processes within the skin. Degeneration of the internal (intrinsic) and external (extrinsic) ageing of the skin, is largely due to the inability to regulate epidermal stem cell renewal. DermaFix Cosmeceutical Skin Care makes use of Malus Domestica Stem Cells sourced from the uttwiler spätlauber apple, proven to protect and regenerate epidermal stem cell health. DermaFix Corrective Eye Complex combines Apple (Malus Domestica) Stem Cells with powerful Peptides and Hyaluronic Acid. This application in the daily routine results in a reduction of fine lines and wrinkles. DermaFix Corrective Eye Complex prevents free-radical attack which leads to a chemical change called cross-linking. DermaFix PowerDerm makes use of Apple (Malus Domestica) Stem Cells to protect and stimulate collagen synthesis, combating chronological ageing. 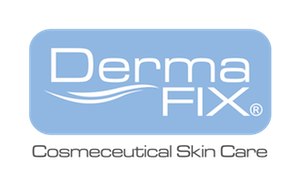 DermaFix PowerDerm allows for cells to have the ability to increase their cell turnover and help with healthy cellular regeneration. DermaFix Ceramide Complex and DermaFix Ceramide Eye Complex combine Apple (Malus Domestica) Stem Cells with DMAE and Hyaluronic Acid.These revolutionary correctives help to lift facial contours. Rich in DMAEwhich enhances the effects of the powerful blend of active ingredients whilst reducing the appearance of fine lines and wrinkles and improving skin elasticity. Stimulates collagen biosynthesis in an anti-ageing skin care routine. The shortening of telomeres contributes to stem cell ageing as well as DNA damage, and deficiencies disrupt the mechanisms that control the delicate cellular renewal process. MD Prescriptives DNA Protection with Telosense™ – Biofunctional Telomere Science makes it possible to introduce the enzyme telomerase into the healthy human dermal fibroblasts – the cells that make collagen and elastin. 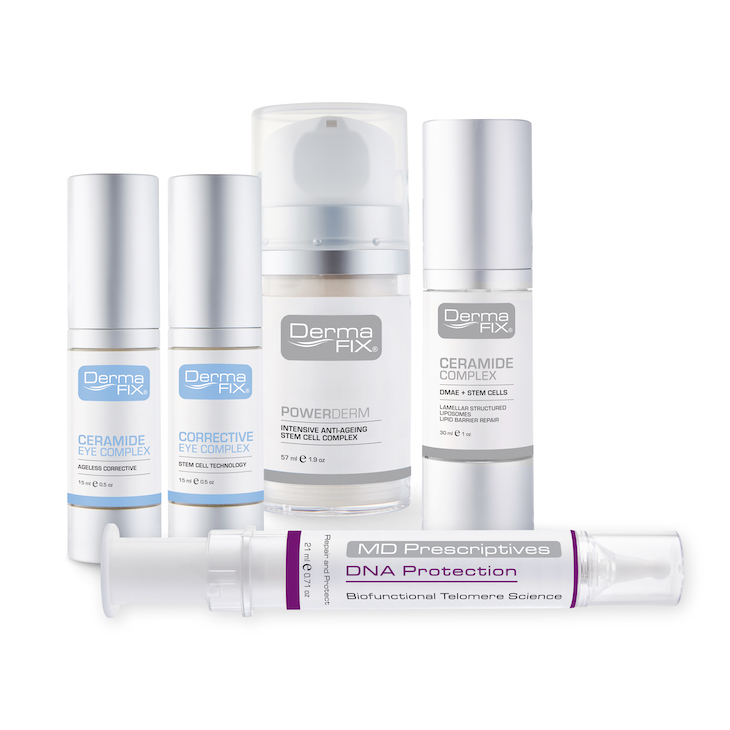 DNA Protection protects at cellular level, on any skin type. For more information on DermaFix products, or for further information relating to the DermaFix Cosmeceutical Skin Care brand, visit www.dermafix.co.za or call 0861 28 23 23.